Cloudways is an extremely helpful hosting company. They helped me through the entire process of building a website and gave me valuable insights as well. They are too friendly and I'm happy to have chosen their servers for my business. The Good: The Cloudways service and support has been great and will continue to use the Cloudways service and perhaps even migrate additional hosts to Cloudways. The Bad, Paying my invoices often results in my credit card being blocked for fraud. It would be a great improvement if Cloudways would use a payment gateway in the USA. I moved from Kinsta to Cloudways and I am very happy with the quality of the service. I think Cloudways' price/value is unmatched and this is coming from someone that has used Bluehost, siteground, and kinsta. I recently moved my websites over to Cloudways because of the super-fast speeds, server scaling potential, customer support and ease of creating new applications in minutes. This is a night and day difference from the shared hosting I was used to. There obviously isn’t as many out-of-the-box features as you would get with normal CPanel, but the speed, ease of use, access to advanced settings and cost easily make up for that. Highly recommend it. Try the free trial and you’ll be convinced. I host a few dozen sites and wish to script and automate many tasks relating to them. CloudWays has made it possible for me to host them similar to Shared Hosting but with many benefits of dedicated hosting (but without the cost of paying for full time management). I recently migrated to Cloudways. So far, I feel that they’ve done a good job with the platform, making it all easy to use as they claim. But the most interesting part is there commitment to customer service. I am really liking it here. This is the first time I'm moving companies. I wanted a shared hosting and I chose Cloudways and still recommend them. Easy to use and understandable interface. Support is fast, live chat is always on and also with quick response. I have been loving Cloudways' service. Their cloud hosting plan has been amazing, I get various extra features and tools which help me build my website. They are definitely worth tryng. Cloudways is the easiest and fastest to use. I don't have much software developing skills, the support is great, we spent a lot of time fixing bugs I had in my store, the support was really patient with me and after almost half a day we fixed the issue. Cloudways offers many package options to customers for choosing a plan that can satisfy their requirements with ease. Their support team monitors each server daily throughout the day and provides technical solutions to customers. The company works in unison with many global companies that are the reason why it has a global customer base. It is one of the best cloud hosting companies that is fueled with an amazing set of features and scalable resources to curb your needs while your website grows. The 30-day money back guarantee gives additional confidence to viewers for trying out their services. Cloudways is a web hosting company that focuses on providing premium cloud hosting services to customers. It highly focuses on the growth of your website while you are busy with the development of your business. It is one of the few companies in the web space that offers affordable plans in addition to a fantastic set of features to customers. As of now, the company only provides Cloud Hosting service to people around the world. One of the salient features of Cloudways is their impressive load time. It is relatively much lower compared to other web hosting companies. Additionally, their infrastructure is planned to offer high speed, performance, and security to its clients. The company has a 30-day money back guarantee attribute attached to their plans. Thus, if the customer is not satisfied with their web hosting service, they can ask for a refund from Cloudways anytime. The upcoming points will cover various aspects of Cloudways in a detailed manner. The review is based on the actual statistics. Also, we are sharing our experience with Cloudways because we know that experience matters and it can help people to choose the best hosting services for them. This fact is the reason why we have provided a separate section for users to share their experience. Please share your user expertise in the user's section if you have signed up for Cloudways in the past. Cloudways’ Cloud Hosting services contain auto-scalable Kyup Containers that are website servers capable of handling high traffic. In addition to the high-performance guarantee, they assure that the site is always active averting any kind of downtime. The user can choose custom cloud infrastructure and deploy their managed servers with few clicks. The server has multiple application support as it is specifically made for hosting PHP-based web applications. Actually, each cloud server comes with dedicated resources such as CPU, Storage, RAM and IP so that users have full control on creating applications. Why Opt For Cloudways Cloud Hosting Services? Security: Each cloud server is protected by firewalls and has numerous other security feature to ensure that a safe environment is established. Backups: Cloudways provides two options to users for setting up backups. You can set up automatic backups of your cloud server image or manually backup your server any time as per your preference. Uptime: The hosting company guarantees 99% high uptime rate and assures that the website never experiences any downtime. 30-Day Free Trial: Users can sign up for the smallest two hosting plans on a 30-day free trial. Migration: Cloudways offers one site migration at no extra cost. Support: User can contact the hosting company anytime throughout the day availing its premium support. The authenticity offered by Cloudways is appreciable considering the fact that they have strengthened their security incredibly. In addition to amazing security features, users can also set up automatic backups of cloud server images. The expert’s team of Cloudways offers cloud hosting solutions throughout the day and monitors each cloud server throughout the day without any breaks. Cloudways guarantees high uptime rate of 99% to customers. Informatively, the web hosting company has partnered with top cloud providers in the industry to offer world-class performance. 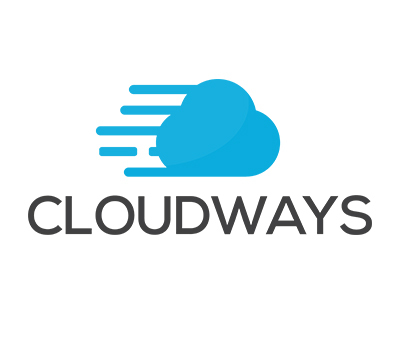 The websites hosted on Cloudways have 45-50% better load times compared to other sites, all thanks to the amazing technology used by Cloudways. Cloudways offers fantastic support to users. Every customer who has signed up for Cloudways in the past appreciates their customer support service. Users can contact the support team via phone call, live chat or email anytime throughout the day. Moreover, the web hosting company has pages consisting of answered FAQs and knowledgeable articles to provide solutions to users regarding billing, technical queries and sales with ease. Cloudways’ cloud hosting plans vary according to memory sizes based on client’s needs. The small plan of Cloudways comes at the cost of $5 a month with 20GB memory and 1TB bandwidth. In addition to cheap plans, the most striking attribute of Cloudways’ pricing strategy is their free trial availability. The smallest packages of Cloudways come with a 14-day free trial. Thus, a customer can choose the free trial and experience all the amazing features and premium support of Cloudways without paying money. If the client is satisfied with the hosting service provided by the company, they can sign up for any of their plans with an initial 30-day money back guarantee. Cloudways has an easy-to-use interface that will please the eyes of the user. The security feature of the cloud hosting company keeps a record of whitelist IP addresses that user uses every time. It also lets the user set up automatic backups. The cloud server is monitored throughout the day. Precisely, Cloudways’ UI displays a graph containing the load time of your cloud server. Thus, you can gain insights concerning the performance of your website 24/7. Also, users can manually set up backup schedules as per their preference. The user can directly configure services like MySQL, cache memory and Apache using ‘Manage Services’ option. The installation of applications is possible with the aid of ‘Application Add-on’ option. Cloudways guarantees 45-50% better load time compared to other hosting services because of their VMAN stack configuration. All the servers are secured due to the existence of firewall that prevents unauthorised access and hacking attempts. Cloudways is a web hosting company formed by Uzair Gadit, Aaqib Gadit and Pere Hospital in 2009. The headquarters of the company is located on the island of Malta in Europe. Moreover, they have offices in Spain and Dubai as well. Previously, their staff helped over 8000 users from many different countries to launch more than 12,000 servers and 25,000 web applications. The main aim of the company is to allow its customer to concentrate on expanding their business and let Cloudways handle the hosting part efficiently. As of now, the company only offers cloud hosting services.